An open meeting was held on 22nd of November 1922 in St. Andrew’s Parish Rooms, at the instigation of Mr. Horace Page, who had previously played a prominent part with the Stockport Garrick Society. 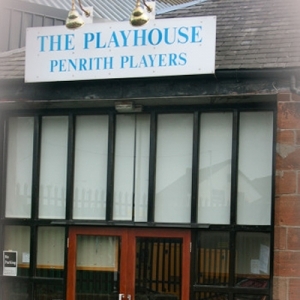 The outcome of this was the formation of THE PENRITH PLAYERS, with a founder membership of 53. By the end of the year this number had increased to 140. During the second season the rented room was adapted to suit the society’s needs – to contain a very small stage, dressing rooms and seating for 100. Plays were performed to members in these headquarters, but “public” performances continued to be held in the Alhambra. By the end of the fourth season (1926), membership stood at 366, and the headquarters had by now become too small. A long lease was secured on Albion Hall, Castlegate, which had in its day been the printing works for two of the local newspapers. 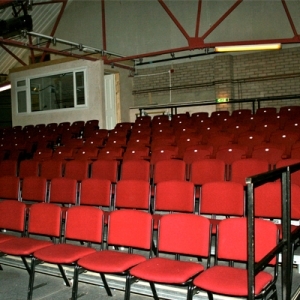 The society rechristened the building The Playhouse and began conversion to a small theatre, the main room becoming a stage and auditorium seating 150. The ladies’ dressing room and toilet, and a small canteen were on the first floor with the men’s dressing room, and storage rooms being housed in the attics.